How to Attract Hummingbirds. Guaranteed to attract lots of hummers. Here are our 12 tips on how to attract hummingbirds to your yard. This can easily be accomplished by providing for their basic needs of food and water. Display as much red as possible; such as red flowers, red feeders and hang red ribbons. Plant trees or tall shrubs as perches. Hang a protein/insect feeder as a source of protein. 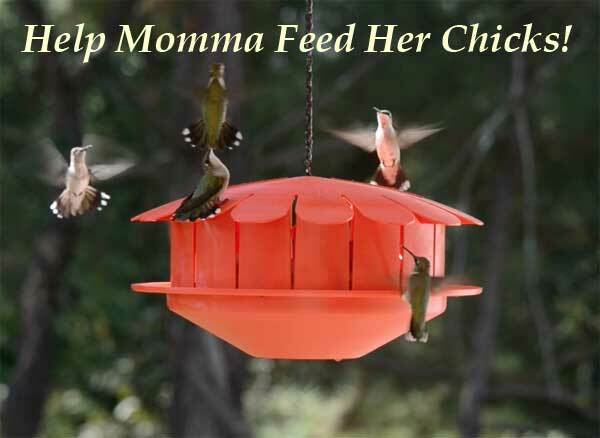 Hang more feeders to attract more hummingbirds. Create distance between feeders to establish more territories. Don't use red dyes/food coloring in homemade nectar. Deter ants with an ant moat. Due to their fast metabolism; they have a high demand for nectar. If you supply this vital need of nectar with flowers or feeders you will surely attract hummingbirds. 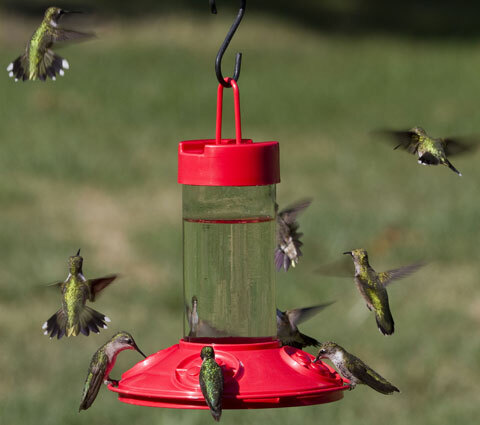 Whether you are new to attracting hummingbirds for the first time or a seasoned hummingbird lover, our guaranteed tips will attract lots of hummers! These birds are loyal and once they find a habitat that satisfies their needs, they faithfully return year after year. Scroll down to learn more about attracting hummingbirds in detail. How to Attract Hummingbirds with Feeders? Hummingbirds do not have a strong sense of smell. They do however have excellent sight and are attracted to bright colors, especially red feeders filled with nectar. Most feeders today have enough red on them to attract hummingbirds. They are attracted to red and other bright colors because these same colors represent flowers that supply nectar for their huge appetite. Feeders, of course, supply a food source for hummingbirds which is a primary necessity for survival. In much the same way as flowers. If your feeders are hung in an open area they will be easily detected/seen. To initially attract hummingbirds for the first time, you can also hang red ribbons on your feeders which will help with their detection. Take note....... Hummingbirds are territorial and are not likely to share "their" feeders. So, hang more feeders far enough apart to present more territories and to attract more birds. 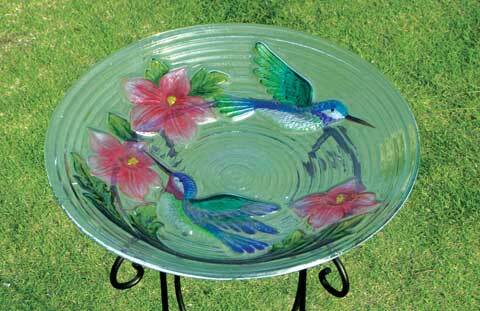 Learn many more detailed tips about attracting with a hummingbird feeder. NOTE: You can make your own nectar with a simple nectar recipe of sugar and water. For convenience, many people simply purchase commercial nectar. But.....beware, never use commercial nectar that contains artificial red dye. This can be harmful even fatal to our friends. Hummingbirds use the nectar for their energy needs because of their fast metabolism. Their prime food supplements necessary for survival are actually protein, vitamins and minerals. Insects supply these vital needs. A great new protein feeder has come along recently called the "Humm-Bug Insect Feeder"; a brilliant idea which holds banana peels to attract insects which feed on the peels. If the feeder is displayed near nectar feeders, hummingbirds will also have have insects along with nectar available! Plants make flowers, flowers make nectar, nectar is food, food is survival for hummingbirds. Therefore, brightly colored, high nectar producing flowers of plants will definitely coax a hummer to your garden. 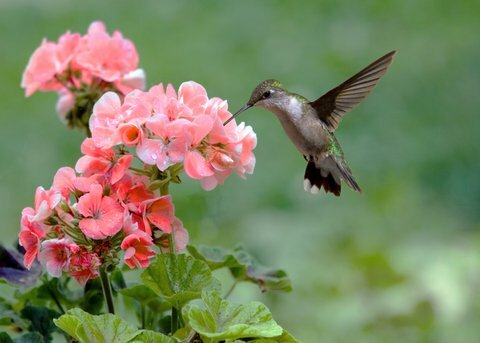 Planting brightly colored flowers that attract hummingbirds or hanging flower baskets with plants will lure these jewel like birds in search of nectar. If you would like to know how to attract hummingbirds with hummingbird flowers, there is a large variety to choose from. Red, orange, and pink flowers with a high nectar reserve are preferred. See our hummingbird flowers page for wide variety of different flowers, trees, shrubs and annuals. Learn how to create a hummingbird habitat. Another bonus...........feeding hummingbirds for your personal enjoyment also helps the eco-system. These birds are pollinators and play an important roll in the life cycle of flowering plants. 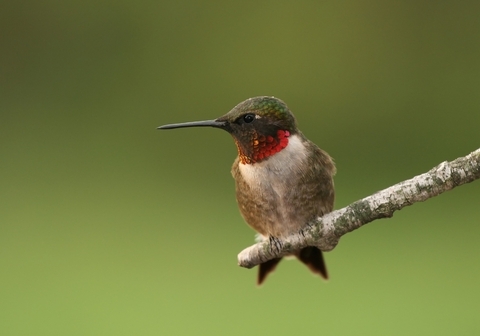 Hummingbirds do not walk or hop but do perch about 80% of their life. They perch all night long to sleep. During the day they will use a perch to oversee and guard a flower garden, feeder or any other source of food. After feeding, a perch supplies a comfortable spot to digest their food which usually takes about 20 minutes. A perch also supplies a spot for maintenance, that is "preening", which is removing built up debris in their feathers. They will fluff their feathers to loosen any dirt or debris and then remove it with their bill. This helps to keep them light and airy for flying. Trees and shrubs are good for perching along with the not so obvious, clothes lines, fences or anything similar. It's fun to follow their flight and catch a glimpse of these miniature birds perching on a tiny leaf stem or branch. Will Supplying Water Bring Hummingbirds? Water is necessary for hummingbirds just like any other living creature. Some believe that nectar is a source for water but this is not the case, they need a separate source of pure water. Hummingbirds can drink and bath in flight. Watch your backyard come alive with hummingbirds as they fly through the sunlit mist of a garden hose mister or a solar powered misting birdbath. Learn how to use water to attract hummingbirds. Now that you know how to attract hummingbirds by supplying feeders, plants, perches and water; you now know how simple this venture can be! You may be surprised to find other birds at your hummingbird feeders! These larger birds often crowd out the tiny hummingbirds. If your wondering what to do, read Hummingbird Feeders Attract Other Birds. Our Experience with Attracting Hummingbirds! Who knows what really prompted our passion for learning how to attract hummingbirds and care for them? After a long, cold winter in the northeastern United States, it was Spring! We hung a feeder on the plant basket hanger outside our kitchen window, and followed the instructions on the package recommending a stronger ratio of nectar for first time use. We waited but it took awhile for our first visitor to arrive. After our first visitors arrived, we thought, "If we hang more feeders, we might attract more hummingbirds!" We added 3 more feeders and sure enough we had more hummers visiting these additional feeders. Now we hang 12 feeders around our house outside of almost every window on the first floor. So we currently attract hummingbirds to all feeders and enjoy the sight of our little friends at a feeder in every room. We planted a perennial garden with the sole purpose to attract hummingbirds. We added a water fountain in the garden to quench their thirst and planted a few small trees around the edges of the garden for perches. as we expect it to capture yours!